Welcome to the home of UNC, Tar Heel Country! What's It Like In Chapel Hill, NC? Most outsiders know Chapel Hill, North Carolina for being the home of the University of North Carolina at Chapel Hill — the school’s flagship campus. While there’s certainly much more to Chapel Hill than just the university, the community was founded specifically to serve the University of North Carolina. Since its founding, the city itself has grown around it. According to the latest population estimates, 58,424 people now call Chapel Hill home on a full-time basis. During the school year, however, the city swells with students. Chapel Hill makes up one of the 3 corners that define the Research Triangle, with Durham and Raleigh being the other two. Although it’s one of the central cities for this renowned part of the state, Chapel Hill is still only the 16th largest municipality in North Carolina. An Array of Housing Options: From urbanist villages to luxury estates, Chapel Hill has something for everyone. College Sports: In the Triangle, there is a heated rivalry between NC's four ACC teams. No where is this more apparent than Chapel Hill... Tar Heel Country. Even the fire trucks here are Carolina Blue. Excellent Schools: Known as the best-educated city in NC, Chapel Hill residents enjoy highly rated schools. Delicious Food: Since it has many nationally noted and award winning restaurants, Chapel Hill is where Triangle foodies go when they want really good eats. Coffee: Chapel Hill is known locally for its fantastic coffee shops. If you love your coffee, you'll love Chapel Hill. 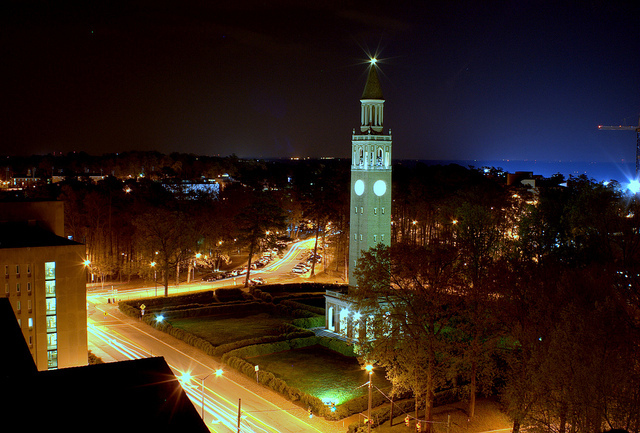 A Vibrant College Town: Since the city grew up around the university, Chapel Hill has that college town feel. Things to do: From arts to parks, it's easy to find something to do in Chapel Hill. A Fantastic Place To Retire: With access to great healthcare services, it's no wonder Chapel Hill has been named as one of the best places in the South to retire. Where is Chapel Hill, North Carolina? Chapel Hill is located primarily in Orange County NC, but a small eastern portion is located in Durham County NC. The cities and communities near Chapel Hill include: Cary, Durham, Hillsboro, Carrboro, and Fearrington. Since it is part of the Triangle area, which is centrally located in NC, Chapel Hill is within driving distance of gorgeous mountains and beaches. Given its history as home to UNC, one of the major upsides to living in Chapel Hill is the culture. The downtown area still has a quaint small-town feel, but many of the buildings have unique murals painted on the side. A host of events, festivals, and fairs are held around downtown all year. In addition, Chapel Hill has new urbanist village communities that promote walkability and eco-friendly green space. These include Southern Village and Meadowmont. Many Chapel Hill, NC homes for sale offer home buyers a broad range of desirable options. In fact, Newsmax Magazine ranked Chapel Hill number 3 on the list of “Top 25 Most Uniquely American Cities and Towns," so its appeal is definitely off the charts. The estimated median home or condo value here is well above the state average. The median home value in Chapel Hill is $354,300, which is considerably more than the North Carolina median home value of $157,800. Some of the area’s premier subdivisions include Briar Chapel, Gimghoul, Governors Club, Stoneycreek, and Franklin Hills. There’s also a wide variety of communities and condominium/apartment complexes that offer more affordability. If it’s an attached, maintenance-free property you’re truly after, we recommend checking out Abernathy Place, Columbia Place, or the townhomes at Claremont. The Chapel Hill, NC real estate market is one of the most diverse in the state. If you’re in the market for a new place to call home in Chapel Hill, contact Triangle housing expert Brandon Duncan with Duncan Prime Realty at (919) 808-2001. He'll gladly help you navigate all your real estate options! As NC's best-educated city, Chapel Hill offers phenomenal schools. Families with school age children are served by Chapel Hill-Carrboro City Schools (CHCCS). Parents may also choose private education, or one of the highly rated charter schools in the area. Though still considered "car-dependent" Chapel Hill is one of the highest scoring cities in North Carolina for walkability. 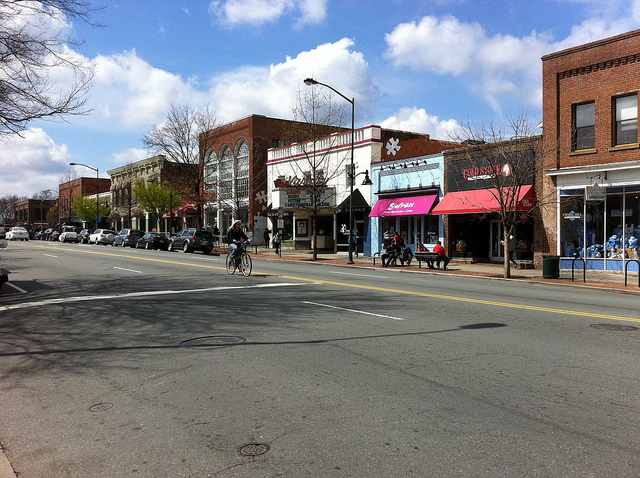 The most walkable neighborhoods in Chapel Hill are Downtown and Meadowmont. 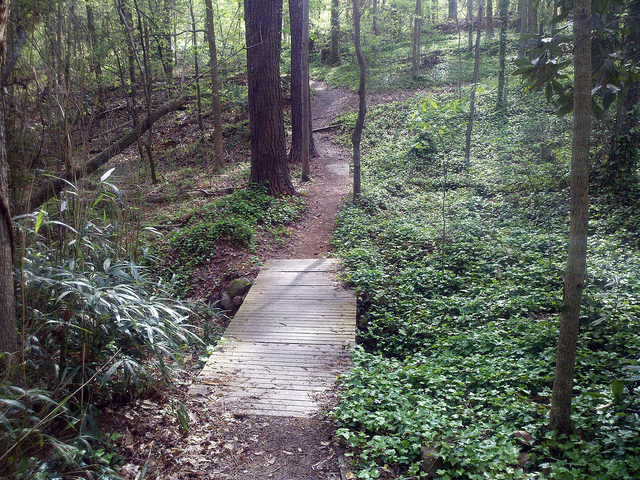 Biking is a popular transportation option in Chapel Hill, which has an extensive greenway system connecting neighborhoods and destinations. Chapel Hill Transit offers free bus service to Chapel Hill, Carrboro, and UNC. The main highways that connect Chapel Hill are I-40, Hwy 501, Hwy 54, and Hwy 86. Chapel Hill is only about 20 minutes from Raleigh-Durham International Airport, so you can go anywhere in the world! There's also a lot of small businesses in Chapel Hill. Entrepreneur Magazine has named Chapel Hill as one of the Top 10 Places To Start A Business. Nationally regarded for excellent quality of life, Chapel Hill's Parks department is a big part of what makes living in Chapel Hill desirable. Not only do they maintain many parks, pools, greenways, and green spaces, but they also offer cultural activies and recreation programs for all ages. As a college town, Chapel Hill has a lot of unique and interesting things to do. Whether you're looking for something romantic or fun, there's activities for all ages to enjoy. These three attractions regularly top "best things to do in Chapel Hill" lists. Note that they, and many things to do in Chapel Hill, are at or near the university. One of the largest and oldest planetariums in the country, the Morehead Planetarium is home to exhibits, the Science Stage, and the fulldome theater. Plus, it's on Franklin Street, which is a great place to visit on its own. Showcasing a permanent collection of over 17,000 works of art, the Ackland Art Museum features European masterworks, contemporary art, Asian and African art, and local pottery. There are also programs for all ages throughout the year. Best of all, admission is FREE! Whether you're a Tar Heels fan or not, if you enjoy college basketball, you will enjoy the Carolina Basketball Museum. Even reviewers who aren't big sports fans rave about the basketball museum. Plus, it's FREE! You can't go to Chapel Hill and not stop at the Med Deli. It's a local favorite... for good reason. The food is fresh, healthy, and consistently delicious. Kitchen is a highly-rated restaurant in Chapel Hill offerring traditional French bistro fare. The dishes people rave about the most are their hanger steak and mussels. You know it's a dive when "shack" is in the name, but some of the world's best eats can be found in dives like this one. Of course, online reviewers rave about their burgers, including the veggie burger. Founded in 1819 to serve the University of North Carolina, Chapel Hill grew up around the university and maintains a small college town vibe.